It has been a while and I hope everyone is enjoying their summer. Unfortunately fall is very near and that is why I am sharing this post with you all on one of my favourite looks this summer, mainly for the evening. This look is very bronzy/warm with a lot of warm tones to it that will give you a nice summer glow (even when the sun has gone down). 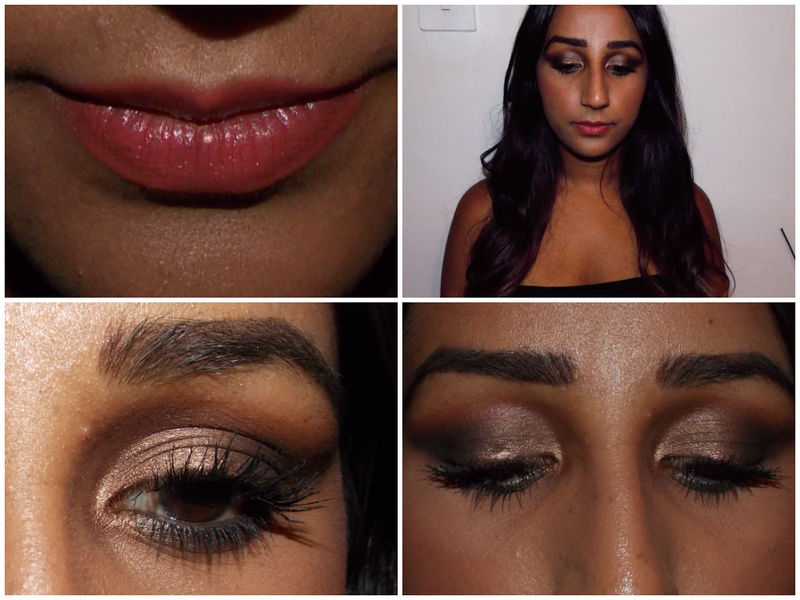 For this I have used different shades of browns on the eyes, both shimmer and matte to blend together well and give a smokey effect. Also to add a bit of colour on the cheeks and lips I have used a MAC blush (peaches) and a brown lipliner then (Sweetie) A pink toned lipstick on top. I do love dramatic eyes especially for evening, however if you wanted a daytime look or even to tone it down for evening do NOT add the dark brown to the outer corner and bottom lash-line to keep the eyes neutral and fresh. I know it is quite depressing that summer is nearly over, which is why trying out a new look or doing your fav’s for summer will heighten your mood for trying something new in fall!